Qadir Bux Mitho Sindhi Comedy performer and Actor. Qadir Bux Mithoo is great most popular Pakistani Sindhi Comedy artist from Sindh. Specially he is very famous in is act sometimes includes making sounds of various pet animals. He has performed in various program's on Local TV Channels such as Pakistan Television, KTN, Sindh TV and other local TV Channels in Sindhi Comedy Jokes. He has also performed shows in Dubai, UAE and other Countries of the World. 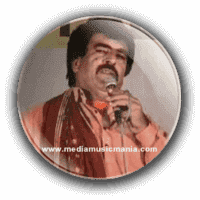 Qadir Bux Mithoo performed in lot of Sindhi Functions, Mela and other Mehfils in Sindh. He performed in Lok Jashans and other shows in Sindh in different nominated places. Qadir Bux Mithoo is great actor and comedian of Sindh he performed well in all over Sindh and in different private local shows and his cassettes and also in Sindhi Drama. Qadir Bux Mitho is a Comedian from Sindh. His act sometimes includes making sounds of various animals from his mouth. He has performed in various programs on Radio Pakistan, Local TV Channels and he has also performed shows in foreign countries. In the 2014, he performed well in Sindh Festival at Karachi Sindh. He performed in Keenjhar Melo and other local shows. Qadir Bux Mithoo is Sindhi Stand up Comedian given great performance in Jashan-e-Latif were held in Khairpur in 2006. He is well entertained the audience with jokes all time. I have selected below most popular Sindhi Comedy of Qadir Bux Mithoo.